Eli Hoff at E Pluribus Loonum asked a provocative question: is it time for the NPSL North Conference to expand? Expansion is the rage right now thanks primarily to the UPSL. However, expansion for its own sake will just dilute the talent, interest, and organization of the already variable standards within the league. I believe in open leagues. I also believe very strongly, given my own experience playing in the adult leagues in town, that minimum standards are critical to maintain the professional feel the North Conference has created and to keep it from degenerating into a glorified men’s league. For context, the UPSL is degenerating into a glorified men’s league. For expansion to work, there are three things that I would consider mandatory. First, the clubs would have to prove their organizational quality. Here, I would tip the scales toward established clubs or, being realistic, owner groups with money. Secondly, the schedule would have to account for the reality of the NCAA-driven summer league and work within the current NPSL calendar. Finally, geographically reasonable options would need to be considered, both in terms of travel and in terms of the chosen areas being able to support an NPSL operation. If only there was a way to measure this before granting an expansion club. If only, for the purposes of this article, I knew where viable groups were located. I do not, so we just have to make an assumption that there are enough people to support expansion in and around our fine state who want to lose money on lower division soccer because operating a club is not cheap. 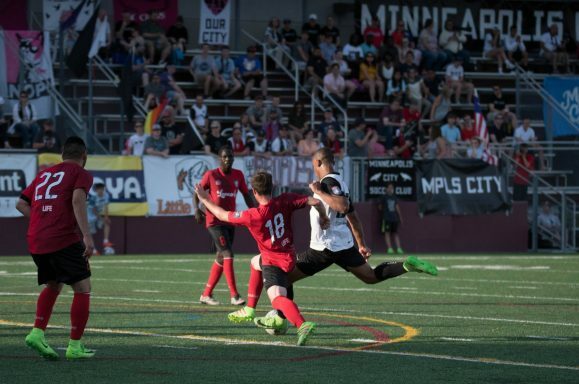 While the Twin Cities clubs can and do rely exclusively on local talent–Minneapolis City went undefeated and ran away with the conference–out-state challengers Duluth FC and Med City FC both scoured the country for talented players, brought them to Minnesota, and arranged housing and other support for them during the summer. That is a tall ask for an operation. Also, it is now table stakes to compete as the talent arms race continues to heat up. Right now, the NPSL North Conference teams have to fit 14 games into 10 weeks. They have to do that while managing the college calendar, an issue that drove all teams, except for Minneapolis City and Sioux Falls Thunder, to start in mid-May. Minneapolis City probably wishes it started later too–their draw at Sioux Falls was one of only four draws in their undefeated conference season. That means that expansion cannot be a simple matter of adding teams to the existing group because there simply are not enough weekends in the season to accommodate more games. Expansion has to mean splitting the conference. There are a number of ways to do this, but two options rise to the top. First, it is easy to imagine a Big 10-style setup with two conferences and rotating overlapping games between the two each year. The downfall is the wide gulf in quality among the teams and the complaining that would ensue if, say, Minneapolis City draws La Crosse while Duluth draws Med City. There are ways to mitigate that. For example, maybe the standings within each of the sub-conferences are calculated only by games against those teams. That would make the two playoff qualifiers the winners of each sub-conference and points per game would determine seeding. However the flaws are dealt with, this is a viable and proven option. Second, I would be a proponent of splitting the conference into two 6-team conferences. This has the benefit of meeting USSF’s minimum requirement for Open Cup qualification, while allowing each league game to occur on a weekend. This schedule would help clubs maximize revenue. I would also institute a knockout cup competition that takes place during the season. A 12-team tournament would occur over four weeks of midweek games, which is the same as the current load of matches, except for the top four finishers from the previous season, as they would get a first round bye. It could be seeded to encourage cross-conference matches, a sort of Cup version of inter-league play that would drive interest beyond the typical Wednesday league match. Hoff saw promise in the St. Cloud and Mankato markets. While Mankato would be fun, and would give the conference an appealing WCHL feel, it remains Minnesota’s 22nd largest city and is hardly a soccer hotbed. It is hard to see how Mankato works as a realistic expansion option. St. Cloud faces similar challenges and, although it has been fun to watch Dynamo St. Cloud attempt promotion from MASL Division 3 and to see Granite City FC get through an entire season without folding, the jury is out on whether there is an ownership group with the ability to make an NPSL-level club happen. That said, the city has promise, has St. John’s there, and has the proximity to the Twin Cities to make it pass the sniff test of viability. To take the current eight teams up to 12, I would look further, but not too much further, afield. Travel is a burden in terms of cost and time. Currently, the North Conference has it pretty good, at least relative to most other conferences, and especially in the Midwest. So, which markets are the most likely to meet the standards I set above and also fit within the current mix of North Conference teams? Minnesota is vast, which means expensive travel relative to Europe. This partly depends on how the current division is split up, and there are arguments for a number of different ways to do so, each with pros and cons. Given the broad geography of the region, which is larger than the entirety of England, the best way would be to split the conference into north and south divisions, with Minneapolis-St. Paul as the midpoint. 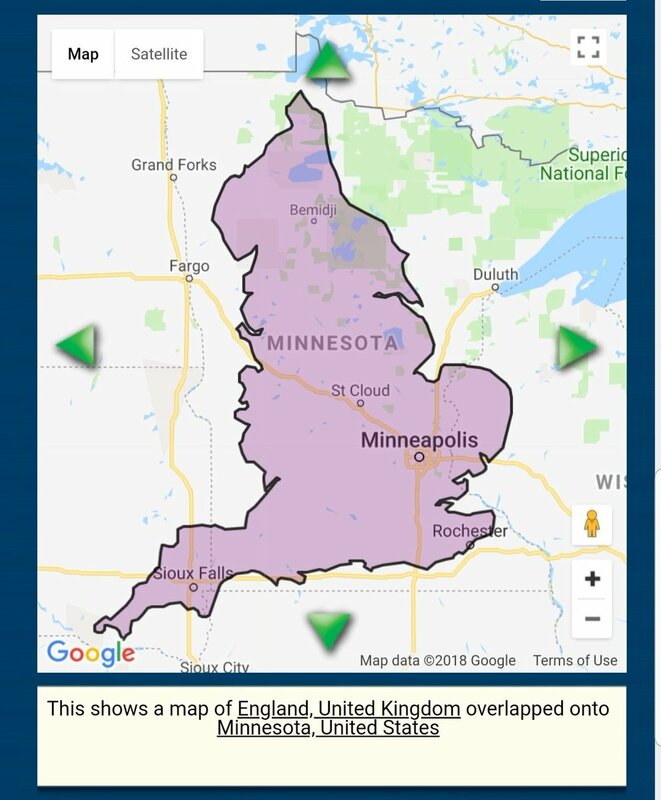 Additionally, and here is where this gets fun, we can use this structure to build out a pro/rel setup using Minneapolis-St. Paul as the anchor point for drawing geographic regions from where qualifying clubs can originate. The distances are vast because this is America but not undoable. A broader vision for the future is an interesting consideration, but something for another article. For now, let’s split the existing clubs into a Northern and Southern cohort. This was a very difficult split and it does, unfortunately, remove the current conference’s marquee matchup: Minneapolis City vs Duluth. However, it does make the cup competition all the tastier, as who would bet against these two sides contesting the final nine times out of ten? Also, if the North Conference teams continue to get U.S. Open Cup bids like they have we could see two Minneapolis City vs Duluth cup matchups a season, which is about as spicy as I think us upper Midwesterners can handle. That said, it purposefully maintains conference “derby” matches. The Dakota clubs still face off. The Green Line Derby between Minneapolis City and VSLT is intact. Rochester faces La Crosse just over the river. Duluth and TwinStars can continue their rivalry that dates to the pre-NPSL days. The pros outweigh the cons. Also, it is fair, or at least as fair as is reasonably possible. The two conference heavyweights are separated. The two conference doormats are separated. The Southern conference is more difficult, but it is difficult to make geographic sense of another setup. So, who fills the gaps? Let’s start with the markets that do not fill the gaps. Bismarck does not get the nod, despite reported interest in the league, because it is just so far away. There is a similar argument against Green Bay, bolstered by the hope that Wisconsin and Illinois can band together to create their own NPSL conference and fill in the large geographic gap that exists between the current North and Great Lakes Conferences. It may be crazy to think that American soccer can get its act together to do the obvious thing, but it is 100% the obvious thing to do. So, Green Bay is out of the running for this exercise. Madison is as well for the same reason. Additionally, Peter Wilt is planning to launch a USL team there, which does not bode well for a successful NPSL team. St. Cloud is not out, and it joins the Northern-ish North Conference. The other options for this group are more challenging to make work in a geographically contiguous way, at least until someone in Superior decides to start a team and create an actual derby for the vocal folks on Lake Superior. Having said all that, the best possible market here is probably Eau Claire. There is some level of interest, some level of history, and it does not change the current travel demands on the existing clubs immensely. For the Southern-ish North Conference clubs it is a bit more obvious, because it is all open spaces to the south. Despite there being at least one group with some interest, Sioux City remains firmly in the “maybe in the future” column because there is way too much opportunity just over the border in Iowa. First, and especially with the mooted move to USL Division 3 by Des Moines Menace, the addition of Des Moines, and probably the specific addition of Des Moines Wanderers, makes a lot of sense. In a league where 200-300 fans and a sponsor or two can make ends meet, and in a city where Menace ignore local players for top Division 1 recruits brought in from around the country, opportunity exists. Plus, it is a reasonable drive from the Twin Cities. A ready-made derby against Union Dubuque also exists. I am well aware that Union Dubuque is currently a UPSL side. 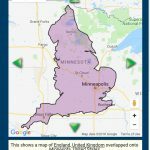 I have also heard from multiple sources close to multiple Midwestern UPSL clubs, though none in Minnesota and Iowa, that a surprisingly large number of the current UPSL Midwest clubs are looking to move to the better competitive level, better organizational level, and better league that is the NPSL. Dubuque would surely not want to be left all alone with FC Minneapolis would they? Not when they could face an in-state rival and two of the best-drawing clubs in the conference, including Minneapolis City and their famously well traveling fans. If they are unwilling to make the move, Nebraska Bugeaters are a viable, if distant, option, and maybe even Mankato has what it takes if things are desperate. 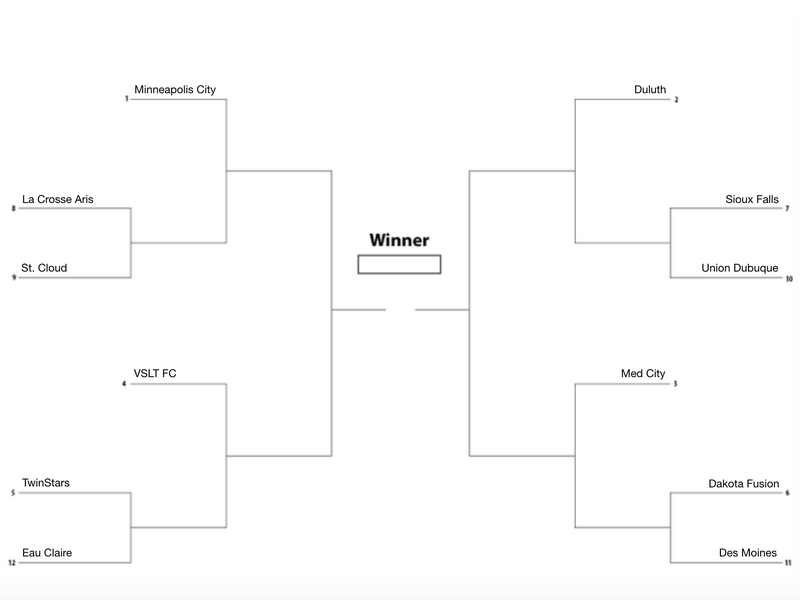 The first round byes go to the top four teams from last season, which were, in order, Minneapolis City, Duluth, Med City, and VSLT. For seeding, to encourage crossover between the split conferences, the seeds would be determined by each club’s final position in its sub-conference so the first round matches are against teams that do not normally face each other. In this case, since there are four new teams, I gave preference in seeding to the existing North Conference teams which may or may not be fair, but at least there would be a chance to prove it on the field in my master plan. The argument against having these matches at all, or at least in midweek, would be the travel, which is more extreme than the regular league travel and, thus, we get into the great issue that faces lower level soccer. Is it possible for Des Moines to get to Fargo for a game, let alone a game on a weekday? It may not be. There may be scheduling workarounds that are possible, but the truth is that distance and weekday matches are poison to clubs at this level. As much as I like this idea and, if I were in an ownership group in the conference, I would work hard to figure out a way to make it work. Tournaments like this are the sort of thing that build excitement and interest in the sport at this level. That said, the travel concerns may be a non-starter. Expansion in the NPSL North Conference is only possible with major changes to the existing conference, but that does not mean it is impossible. It just needs some creative thinking and enough serious expansion prospects willing to enter at the same time for it to work.